Tomorrow On 2nd November, SRK's fans all over the world will celebrate another yearly religious festival and that is, his birthday. 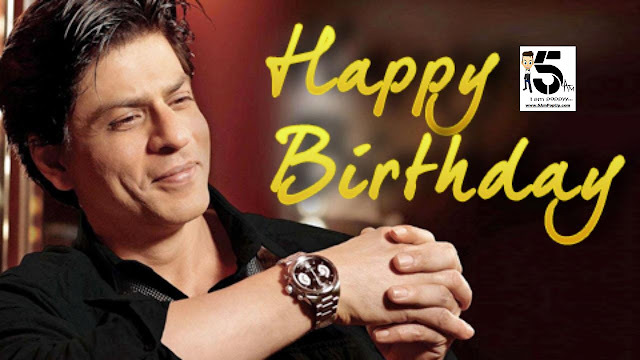 Yes, it's Shahrukh Khan's birthday. It is a yearly ritual that center-stages 'fanhoodness' as a religion to everyone out there always waiting desperately to get even a tiny update (along with all the smaller and bigger ones) from King Khan. Shahrukh's journey from 'Fauji' to his recent shooting schedule includes fans of every mood with their respective genres. Others in the industry have always gone through difficulty whenever they tried to figure out the underlying cause while deciphering the language that connects Shahrukh Khan to his every single fan. People love you for what you do best and Shahrukh does everything best. Hence, a person is left with the sole option of loving him unconditionally. 51 is just another number for Bollywood Baadshah as even today he finds using his 24 hours for the sake of work much more pleasurable with highest degree of enlightenment. He enjoys his work more than any other thing like looking back at his incredible success or introspecting a few countable failures. Even today, his dedication for work nullifies every single barrier a person may find difficult to cross while ageing. By continuously keeping himself involved into his working schedules SRK has significantly managed to make enough room wherein he successfully learned to play those magical strings of love that keeps on nurturing his global fan base. And with movies like DEAR ZINDAGI, RAEES, THE RING, DON 3, DWARF, etc. scheduled to release in coming years, the legendary actor looks only getting better like an old wine. Therefore, his age never going to disappoint anyone of us for a long as we are enjoying the magic shown by him. And I'm sure that he's still left with plenty more tricks to make his show last longer than anybody's imagination. In the end, on behalf of Poppy and team 5AMPOPUP, I wish Shahrukh another happy, healthy and pleasurable birthday. May your ability to keep us all engaged keeps on getting better as time progresses.